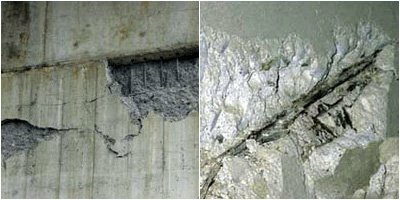 Structural Concrete Repair Mortar | Spray Or Trowel Apply Up To 3" | Superior Industries, Inc.
FiberCrete Repair is a one-component, lightweight, Portland cement-based repair mortar that comes ready to use. This multi-purpose product can be used on exterior or interior surfaces. Easy to handle and easy to finish, this mortar can be applied with a trowel or sprayed on using a low pressure wet spray process. 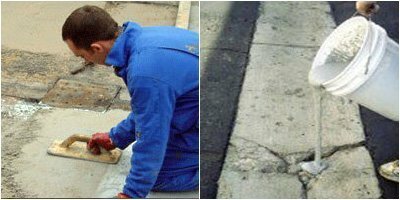 FiberCrete Repair is specially designed for overhead and vertical repairs that call for high build without sagging. Because FiberCrete Repair utilizes low density aggregates, it is able to create high build applications on vertical and overhead surfaces. This structural concrete repair mortar is grey in color and is excellent for making quick repairs to horizontal, vertical, and overhead concrete and mortar surfaces, whether they are above, below, or on grade. Use FiberCrete Repair on parking structures, building facades, walls, floors, steps, driveways, sidewalks, curbs, patios, balconies, bridges, concrete beams, concrete columns, civil structures, industrial plants, and more. 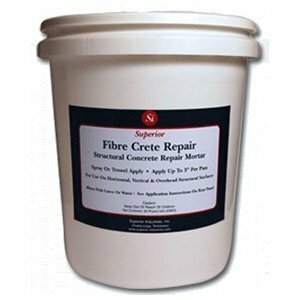 FiberCrete Repair offers high bond strength, good early strength, and good ultimate strength. 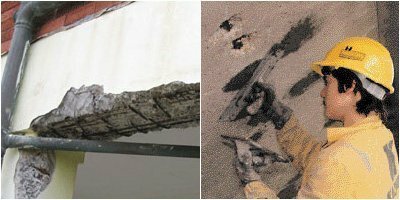 This structural concrete repair mortar does not create a vapor barrier and offers increased resistance to freeze/thaw and deicing salts. It experiences low shrinkage, so cracking is minimalized. FiberCrete Repair is a time-saving and labor-saving material; By creating an application thickness of up to 3 inches in one layer, FiberCrete Repair reduces effort as it eliminates the need for multiple coats to achieve high build. This easy to use product only requires that you add water. Contractor-friendly and economical, FiberCrete Repair is easy to mix, easy to place, and easy to clean. If desired, FiberCrete Repair can be mixed with a latex additive instead of water, which makes it a two-component, polymer-modified repair mortar. This option allows for FiberCrete Repair to be used as a reduced permeability mortar that provides an even stronger bond. Mixing with a latex additive also allows FiberCrete Repair to be used down to ?” in depth (whereas the mixture with water offers a maximum thickness of ¼” in depth). FiberCrete Repair is available in 50 lb units. Each 50 lb unit had a yield of approximately 0.55 cu. ft. At 73°F (23°C) and 50% R.H., it offers a working time of about 30 minutes and a finishing time of 2-3 hours (initial set). The mixing ratio is one 50 lb. bag of FiberCrete Repair to one gallon of water (maximum) or approximately one gallon of latex additive. FiberCrete Repair is intended for use on concrete, mortar, or masonry products. This factory-blended material has been produced and tested in accordance with ISO 9001 and 9002 standards. For detailed surface preparation and application instructions, please see FiberCrete Repair’s tech data sheet. 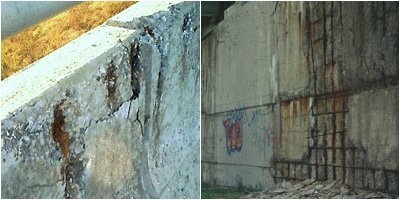 In addition to offering FiberCrete Repair, Superior Industries also offers FiberCrete Repair SHA, an accelerated version of this excellent structural concrete repair mortar. To determine which version best suits your specific application needs, please review the comparison chart below.